With ease of hanging and added dimension, the FloatPlaq and Economy FloatPlaq are customer favorites. Economy FloatPlaqs are an economy priced alternative to the traditional FloatPlaq, offering high quality with an economy price by eliminating the need for paper prints and surface finishes. An image is direct printed to the material with a state-of-the-art, UV-cured printing process that requires no added coating for protection. This process is eco-friendly and does not use a solvent-based printing process. Printed directly to DuraPlaq®’s exclusive eco-conscious 3/8” premium wood product, this product’s acid-free, moisture resistant construction will create lasting art. Economy FloatPlaqs have a slightly softer print than a traditional FloatPlaq but maintain a great fine art, cost-effective alternative. Economy FloatPlaqs include a French cleat hanging method that is not only simple but very reliable for use in almost any situation. 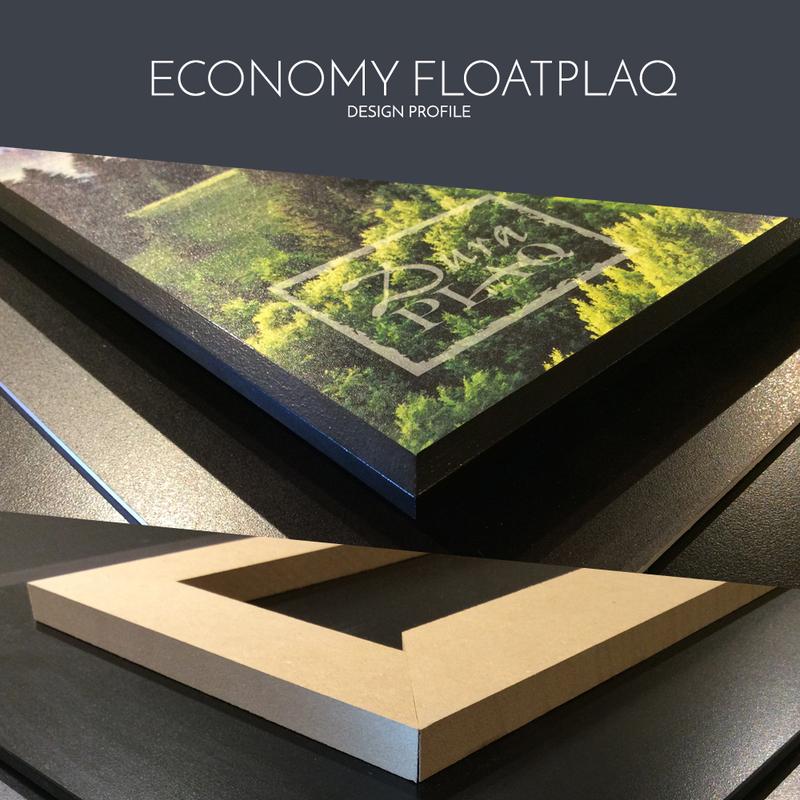 Each Economy FloatPlaq is customized with a selection of fine art surface finishes and beveled edge colors. 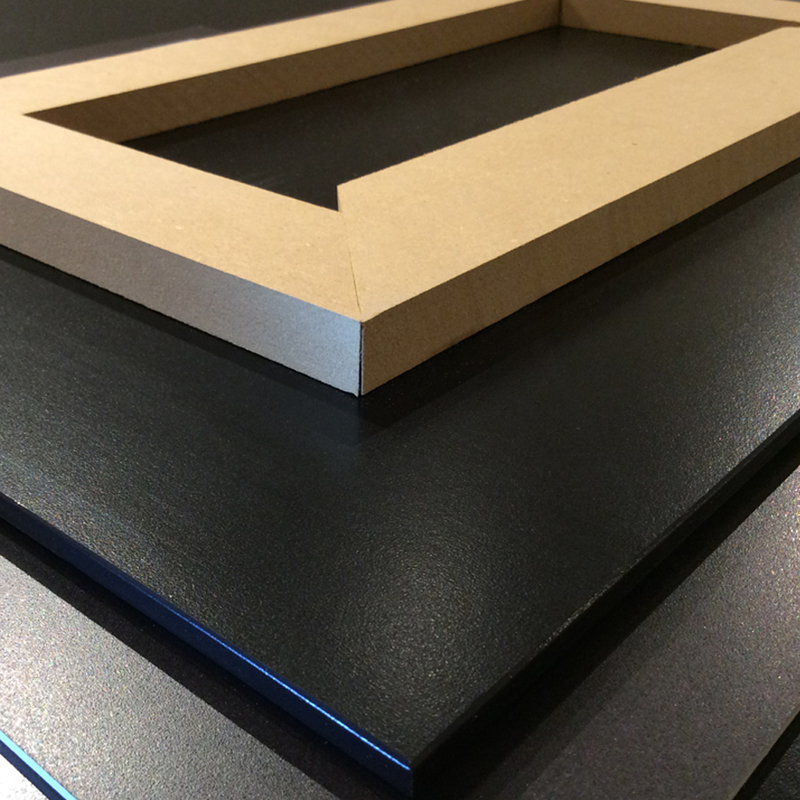 DuraPlaq®’s exclusive eco-conscious 3/8” premium wood product is coated with an acid-free, moisture-resistant finish for environmental protection and longevity of artwork. This standard product is available in any size up 48” x 96”. This product features a UV-coated, direct print to wood substrate surface, requiring no additional surface finishes or coatings. Please note that due to the nature of printing directly to materials with varying base colors, textures and finishes, there may be variations in the surface and appearance of a direct print. DuraPlaq® does not offer replacements on surface or color variations showing through a direct print. maintenance. French cleat hanging system and 3/4” backing component are constructed from recycled Medium Density Dibreboard (MDF). Overall depth of product is 1-1/4” from front face to wall/display surface. Each Economy FloatPlaq comes ready to hang, complete with screws and wall anchors for hanging. Economy Floatplaqs are not recommended for sizes smaller than 8”x 10” in order to keep the French cleat hanger concealed and recessed. Wire hangers can be added to Economy FloatPlaqs; however, DuraPlaq® does not warranty or recommend this hanging method due to instability in hanging. This product features a standard bevel of 3/16” wide. Custom bevels are available with a variety color options. Please note that when providing artwork or image files, signatures and crucial components of an image must be a minimum 1/4” from the edge to accommodate beveling and trimming.